The 'Hundred Guilder Print', generally accounted one of the greatest achievements of European printmaking, has been a prize sought by all Rembrandt collectors. C.A. Ionides purchased this choice impression on Japanese paper from his trusted dealer, Thibaudau. 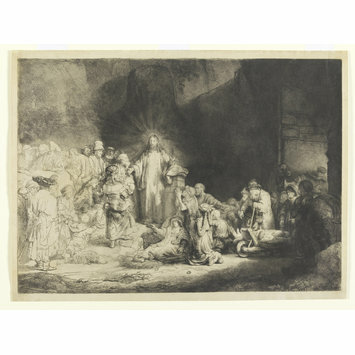 Its very high price of £300, comparable with that paid by Ionides for many of his oil paintings, reflects the high status of Rembrandt's major prints at this time . 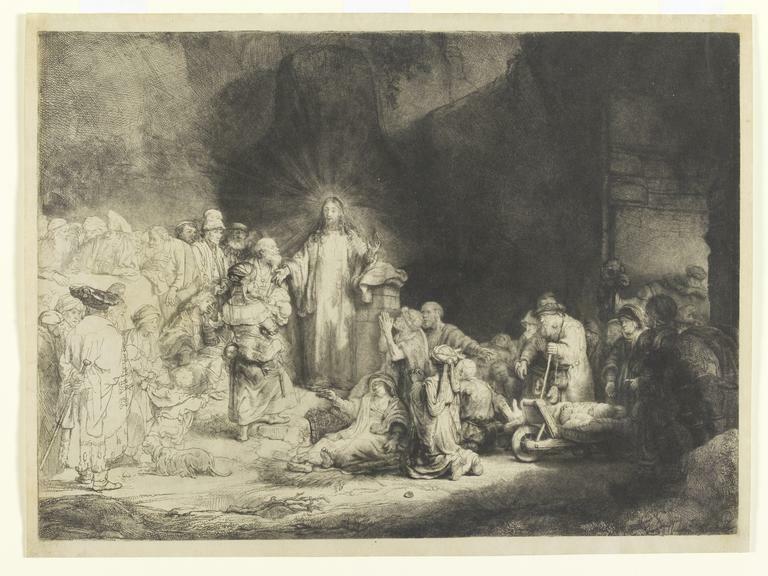 Etching showing Christ standing just left of centre, arms outspread, with halo. A crowd of people attend to left and right.